I like the Queen reference, I’d forgotten about that possibility! You’ve got me singing in a most Bohemian way. I’ve been meaning to do this for a few weeks. I hope to rise to the challenge each week! Thanks for hosting. Welcome aboard, Margaret; Glad to have you with us! i love these! esp the ode to queen! Terrific haiku! My first time here, glad I found you. I’ll be singing the Queen song all day now! That first one had me rolling! Awesome! 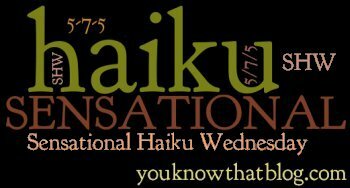 My first time joining in your haiku challenge! 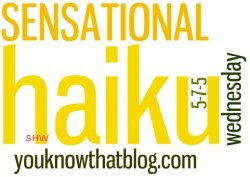 You are obviously the “queen” of haiku interpretation. :)Nice to meet you Jenn! Queen was my first though also!! Great set, Jenn .. you amaze me each week!! I tagged you in a post!